OK, the stars were done last month, but they look so stinkin’ cute together. The towel topper was a request from my mom. The topper prevents kitchen towels from sliding off the oven handle. I’ve made two towels from two different patterns. I’ll give links and reviews later. Finding knitting patterns was hard. 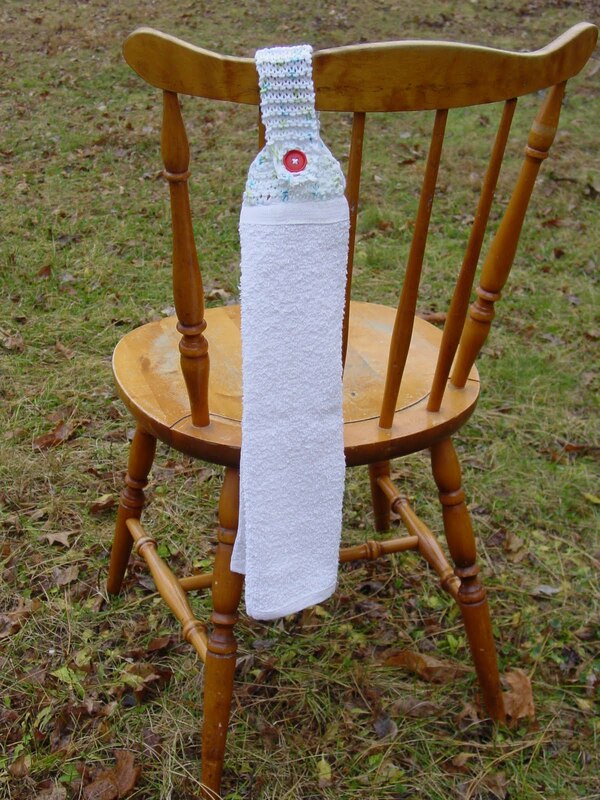 Many more crochet towel toppers patterns abound on the internet. 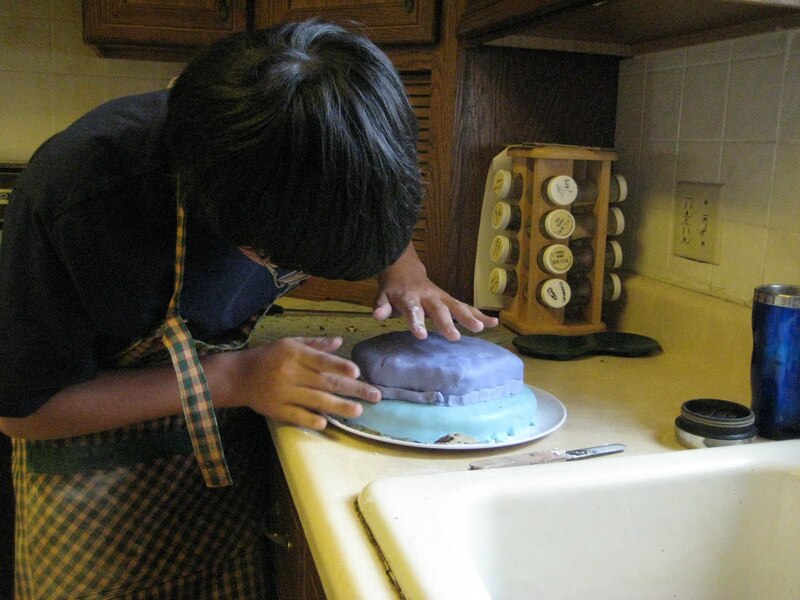 The last photo is G of GAIN making his birthday cake. After watching TV shows “Ace of Cakes” and “Cake Boss,” he’s all about fondant. We made buttercream fondant with this recipe and loved it. “I” of GAIN currently has the leftover fondant sculpted into little vegetables and fruits. They are drying inside a paper cornucopia. Also, I made some scrapbook pages with lovely ladies Cathy and Nicole yesterday. Scrapbooking as a group just works better for me. “Lone Ranger scrapbooking” is bad. I guess that proves the idea that women NEED to talk more than men LOL. This entry was posted in crafting, food and tagged knitting, scrapbooking, sewing. Bookmark the permalink.